A Rider and Brother FOREVER. 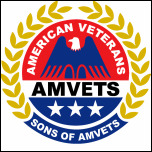 Born December 27, 1940, George was very active in the AMVETS organization, being a member of the Sons and Riders he was also Past Commander and Past President of both. George also served as Chaplain of the Monticello Veterans Honor Guard, AMVETS Post 91, as well as the Riders Chaplain. George was well liked and loved by all. He will be missed, but never forgotten. Jim was not only the President of Chapter 12 Riders, he was the main driving force to get it established. He was also a loyal Patriot Guard Rider. ​He will be missed dearly! Rossi was a founding member of Texas Chapter 23, starting the AMVETS Riders chapter with his friends. He was the 1st Vice President and helped his chapter grow to 26 members. 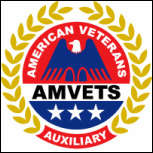 He was the center link to his AMVETS post, and a dear, close friend to all its members. Rossi will be deeply missed by his Riders family and everyone at his post. Don was a longtime member of Missouri Chapter 98. He and his sweet wife Louise were fine, upstanding individuals who were always willing to lend a hand to anyone in need. You never saw Don without a smile on his face, even when he was disagreeing with you. Don was a faithful supporter of both the Sons and the AMVETS Riders, attending all meetings and events. He brought honor to himself, his family, his friends and the community. Don and Louise were both well-loved and will be very deeply missed. 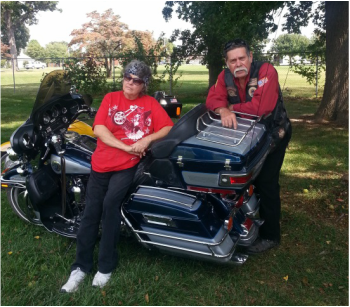 AMVETS Riders Chapter Missouri 98 has lost not only a member, but a brother and sister as well. Brenda was a lifetime member of Ohio AMVETS Ladies Auxiliary 222. She faithfully served as past secretary for the Department of Ohio AMVETS Riders, her local Auxiliary 222 as well as AMVETS Riders Chapter 222. Her nickname was Diehard because she would ride on the bike no matter how cold it was outside. She would have her husband take her to work on the bike sometimes even if the temperature was below 32 degrees. She enjoyed camping, going on poker runs, Put in Bay and Kelly’s Island. Brenda loved her pet ferrets and she will be missed by the family and friends who knew and loved her. Leca loved her family, her friends and riding her Harley. 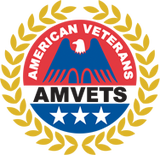 She not only founded Florida Chapter 444 but was instrumental in helping start 3 additional AMVETS Riders Chapters in the North Central Florida area. 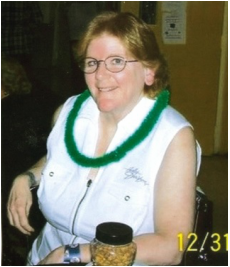 She was a very active member of her Ladies Auxiliary and served as President of FL444 Riders from May 22, 2010 until the time of her death. She is sorely missed by her husband Donald, mother and stepfather, a son and two daughters and 10 grandchildren. Leca’s passion for riding, dedication to her friends and family, and love for all are just a few of the reasons why she holds a special place in our hearts.